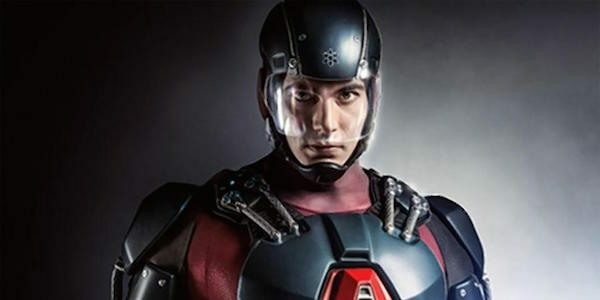 Two Instagram posts have revealed some new additions to DC’s Legends Of Tomorrow season three, with Brandon Routh’s Ray Palmer gaining a Mum and a sweet new ride. In the first of the two posts it is confirmed that former Jessica Jones actress Susie Abromeit will be portraying Ray Palmer’s mother in the 80’s. This is set to take place in Episode 4 of the new season, with the plot focusing upon Ray’s dark past, building upon the lighthearted character we now know today. As well as playing Hogarth’s girlfriend, Pam, in the previously mentioned Jessica Jones, Abromeit has also had roles in Battle Los Angeles, Chicago Med and Devious Maids. The episode will be titled ‘Phone Home,’ a direct reference to the Spielberg classic, E.T. the Extra-Terrestrial. This won’t be the only classic movie reference this season however as it appears Ray Palmer is set to get a DeLorean, the famous time travelling car of the Back To The Future franchise. With all these new additions to the new series, the return of Damien Darhk and a new villain in town, it looks like season three of Legends could perhaps be the most exciting one yet! DC’s Legends of Tomorrow season 3 is set to premiere on October 10th on The CW.